Most people know how to play Sudoku. But have you heard of Kenken? 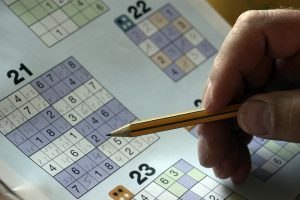 Kenken is a arithmetic and logic puzzle with a similar end goal to Sudoku, where you need to fill in the grid completely. 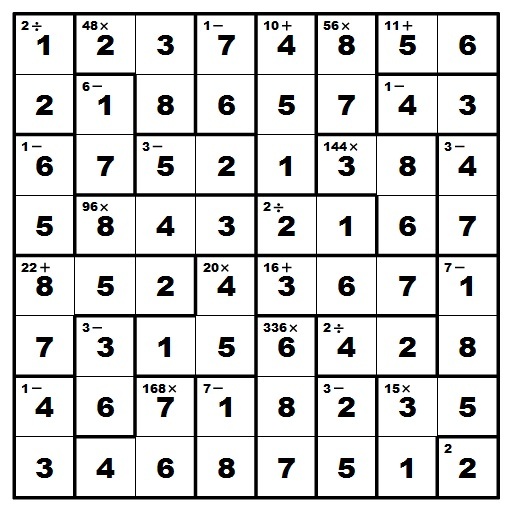 Unlike Sudoku, Kenken has bolded cage areas with specific arithmetic operations. Each row uses exactly one of each digit 1-6. Each column uses exactly one of each digit 1-6. Here is an empty Kenken puzzle. 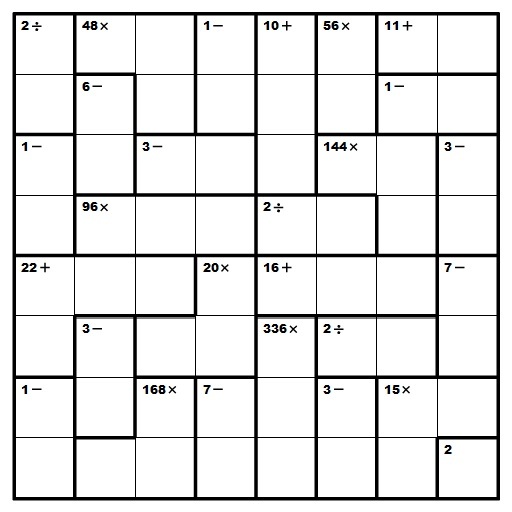 Here is the same Kenken puzzle, solved. Did you solve this puzzle? If so, how did you do it? How do you think you would go about solving this puzzle? What steps would you take? 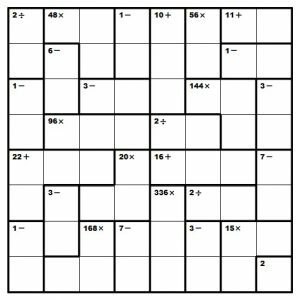 For clues and strategies to solve Kenken puzzles, check out our post at the Washington Student Math Association! 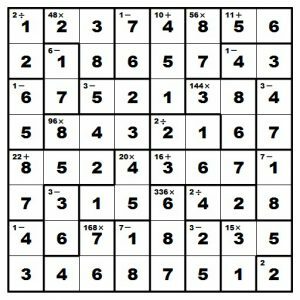 You can reach more about Kenken and other puzzles.